The aim of the paper is to delve into the process of organisational change using the change path model. The organisation chosen for studying the model is HSBC Bank, the leading British multinational banking chain. HSBC Bank is one of the world’s largest chain of the international bank with its headquarters in London, the United Kingdom. The bank is a wholly owned subsidiary of HSBC Holding and functions under Stephen O’Connor in the capacity of its chairman. The services provided by the bank consist of personal banking, commercial banking, investment bank and host of other banking services. It is this wide range of financial planning services which enables the bank to serve both individual and business customers. The main markets of HSBC Bank are Europe, Asia, Middle-east and the Asia-Pacific Region. The British multinational bank around the beginning of 2017 in order to restructure its British operations, announced closing of 117 branches in the country and reduce its staff numbers by 380 (Reuters.com, 2018). The management of the HSBC announced closure of around a hundred and a seventeen braches in order to restructure its British operations. The management reasoned that the bank has experienced significant increase in the online banking transactions among customers. The main customers who use braches were either aged or lower income group customers who do not have access to internet banking (Theguardian.com, 2018). The second reason which the management held significant for closing of more than a hundred branches was high operating cost of the brick and mortar branches. The management quipped that with customers gradually shifting towards online banking and customer footfall dwindling at the branches, branch operations ceased to remain profitable. Moreover, financing the staff and assets of so many braches were adding rto the operating costs of the bank. Thus, the decision to change from physical banking services to embrace digital banking in a big way also aimed to curtail cost of operations at the bank (Reuters.com, 2018). The outcome of this organisational restructuring at the HSBC Bank led to staff reduction by 380 jobs. The first step which HSBC Bank took to embrace the change to embrace digital methods of operations proactively was awakening. Graupner et al. (2015) mentioned in this respect that the changing acceptance of digital banking among customers was one of the main reasons for the bank to embrace digital banking more actively. Khrais (2015) contradicts this opinion and point out that digital banking has made the customers susceptible to online frauds. It could be inferred from the discussion of the two authors that though digital banking carry data theft risks, its increasing future profitability awakened the management of HSBC Bank to restructure its home operations to align it with digital banking. The second step change path model is mobilisation which revolves around mobilising resources to initiate the change process. Cameron and Green (2015) echoing Graupner et al. (2015) mentioned that organisations in order to initiate the change process have to mobilise resources to support the change. In this light it can be pointed out that the management of HSBC Bank took two steps towards mobilising resources. First, it strengthened and promoted its digital banking platforms to increase their market penetration. Thus digital banking services generated sufficient revenue for the bank to drive its restricting and also provided base to diversify the loss it would suffer due to closing of several branches. Secondly, the bank allowed the post offices to play the roles of its branches, thus not depriving customers entire of physical banking services (Hsbc.com, 2018). Heyden et al. (2017) mentioned that the stage of acceleration is the stage when organisations eyeing to embrace changes actually implement the change. As far as HSBC Bank was concerned, this stage comprised of actually closing around 117 branches and rendering more than 300 employees redundant. The bank on the other hand opened branches in more profitable locations so as to diversify the business loss it would incur by closing around a hundred and seventeen branches (Theguardian.com, 2018). 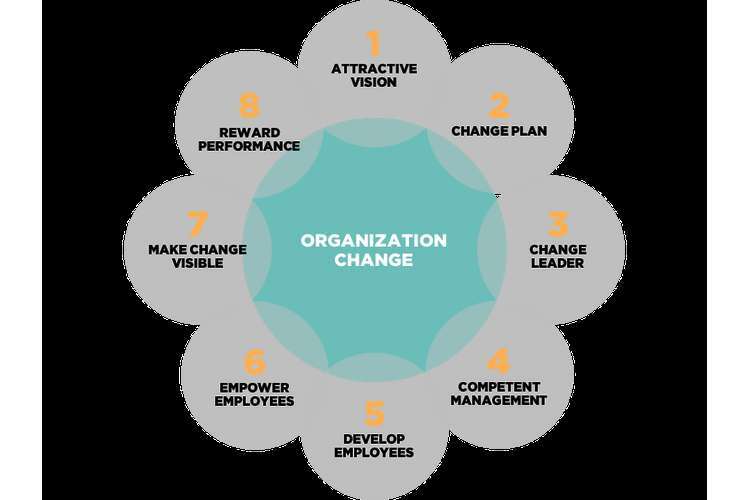 The last step of the change model is institutionalisation in which organisation adopt the changed methods as a part of their organisational culture and modus operandi (Johnson & Szamosi, 2018). This step is reflected in the present business generations of HSBC Bank which is largely dependent on digital banking. The restructuring and embracing of digital banking allows the bank to serve billions of customers, both domestic and business analysis customers using internet banking. The customers today use digital banking in a largely and are responsible for the banks enlarge the digital banking operations at the expense of physical branches. The two key processes which were executed successfully was increasing the market penetration of internet banking and expanding into more profitable markets like Asia using outsource (Huemann, 2016). These two processes enabled the bank to finance its restructuring operations. The two key processes which were not successful was rendering around four hundred employees redundant and closing branches at a fast pace. The first process hit the economic and professional develop of the employees. The second step caused dissatisfaction among customers having not access to internet. It could be suggested to the management of HSBC Bank that they should reinstate the redundant employees in the new branches. The second which could be offered to the bank is that it should be responsible towards securing the accounts of its investors from data thefts. It could be concluded from the discussion that the restructuring of HSBC Bank is successful. It is evident from the fact that the bank is able to mobilise financial resources worth billions of pounds on real time basis. 1. Cameron, E., & Green, M. (2015). Making sense of change management: A complete guide to the models, tools and techniques of organizational change. Kogan Page Publishers. 2. Graupner, E., Melcher, F., Demers, D., & Maedche, A. (2015, May). Customers' Intention to Use Digital Services in Retail Banking-An Information Processing Perspective. In ECIS. 5. Huemann, M. (2016). Human resource management in the project-oriented organization: towards a viable system for project personnel. Routledge. 6. Johnson, P., & Szamosi, L. T. (2018). HRM in changing organizational contexts. In Human resource management (pp. 27-48). Routledge. 7. Khrais, L. T. (2015). Highlighting the vulnerabilities of online banking system. The Journal of Internet Banking and Commerce, 20(3).